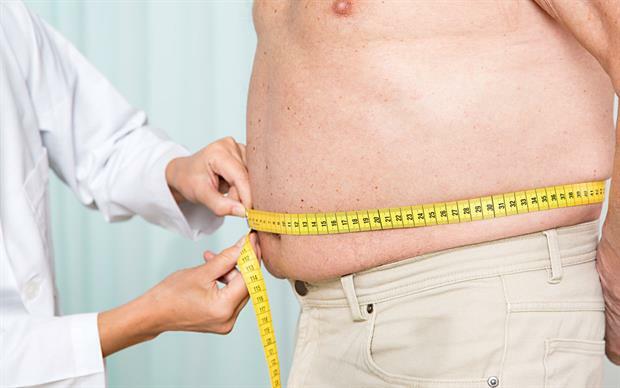 The antidiabetic drug liraglutide is now available as Saxenda for weight management in obese patients and overweight patients with one or more associated comorbidities. Saxenda is indicated as an adjunct to a reduced-calorie diet and increased physical activity for weight management in adults with an initial BMI of ≥30kg/m² (obese), or ≥27kg/m² to <30kg/m² (overweight) in the presence of at least one weight-related comorbidity such as dysglycaemia (pre-diabetes or type 2 diabetes mellitus), hypertension, dyslipidaemia or obstructive sleep apnoea. In patients with type II diabetes Saxenda should not be used with another glucagon-like peptide-1 (GLP-1) receptor agonist; doses of concomitant insulin or insulin secretagogues (eg, sulfonylureas) may need to be lowered to reduce the risk of hypoglycaemia. GLP-1 is known to regulate appetite and food intake but the exact mechanism by which it promotes weight loss is not fully understood. Liraglutide reduces fasting and post-prandial blood glucose levels by stimulating insulin secretion and lowering glucagon secretion. The effect is greater in patients with pre-diabetes and diabetes than in those with normal blood glucose levels. Liraglutide is already available as Victoza for the treatment of type II diabetes. In trials comparing liraglutide with placebo, both in combination with a reduced calorie diet and increased physical exercise (SCALE Obesity and Pre-diabetes; SCALE Diabetes), 50.4 to 67.5% of patients achieved ≥5% weight loss after 12 weeks of treatment with liraglutide 3mg. At week 56 in the SCALE Obesity and Pre-diabetes trial significantly more people treated with liraglutide (n=2437) lost ≥5% weight than those receiving placebo (n=1225, 63.5% versus 26.6%; p<0.0001). Patients treated with liraglutide showed a mean loss of 8.4kg from baseline to week 56 compared with a mean loss of 2.8kg in those receiving placebo (p<0.0001). Similarly, in the SCALE Diabetes trial, significantly more people treated with liraglutide (n=412) lost ≥5% weight at week 56 than those receiving placebo (n=211, 49.8% versus 13.5%; p<0.0001). Liraglutide treated patients showed a mean weight loss from baseline to week 56 of 6.2kg compared with a loss of 2.2kg for those treated with placebo (p<0.0001). In a third trial (SCALE Sleep Apnoea) assessing sleep apnoea severity and weight loss in 359 obese patients with moderate or severe obstructive sleep apnoea, those receiving liraglutide lost significantly more weight (6.8kg vs 1.8kg [p<0.0001]) and had a significantly greater improvement in Apnoea-Hypopnoea Index (-12.2 vs -6.1 events per hour [p>0.05]) than those taking placebo after 32 weeks of treatment. Treatment with liraglutide should be discontinued after 12 weeks in patients who have failed to lose at least 5% of their initial body weight. The most frequently reported side-effects associated with liraglutide treatment in phase III controlled trials were nausea, vomiting, diarrhoea and constipation.